Talk about DAUNTING! This whole longarm-quilting-on-a-frame-thing is something else! I can’t tell you the number of times I’ve loaded the leaders, thought they were backwards, taken them off, turned them around, and then reloaded…only to realize I had them right the first time. There is not a video out there at all telling you how to put the darn things on. I get which one to put where, but do they roll this way or that? So after weeks of fooling around with backwards rolling, I attempted a computerized pattern with my new Quilt Butler from QuiltEZ. The success of longarming (or not, as I have discovered) is directly related to how the quilt is rolled on the frame. My first attempts suffered skipped stitches, having the needle snag and drag in the fabric, and I’m now 100% efficient at fixing thread breaks. Sometimes it works great. Other times, it’s a disaster. I’ve discovered that my issues always happen on the left side of the frame. Odd. Here’s a video of one of my successes. I decided there’s no way on earth I’m going to put one of my beautiful quilt tops on that I spent weeks putting together and Lord knows how much I spent on the fabric. I’m not there yet. So I decided to attempt some whole cloth quilts to practice on. I went to Hobby Lobby the other day and picked up some 1.5 yard fabric cuts and some batting. I didn’t get a photo of the backing once I had it attached to the frame and before I added the batting and cloth top, but it was the best installation of a backing yet. I’ve learned to be on the lookout for droopy sides. Once the quilt is quilted, the back of the quilt can tell me a lot. It tells me I have work to do on spacing and nesting between pattern repeats but that I’m getting the hang of it. I was happy enough with the final product that I went ahead and decided to bind it. I have no idea what this will be used for. Maybe I’ll add some slots in it for a car seat cover. The top is so busy you can’t see the quilting but that wasn’t the point on this one. 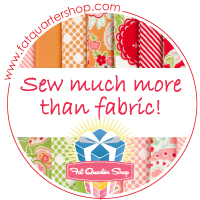 This is definitely a challenge but I’m having a great time learning this new facet of the quilting craft! I recently ordered a knit border-print top from a catalog. Total cost including shipping was about $50. It fits great and I’d like some more tops just like it for work. When it arrived, I noticed it’s only two pieces of fabric joined at the shoulders and sides. TWO…that’s it…for $40 plus shipping. My cheapness crept in. I bounced over to MoodFabrics.com and did some searching and came up with a pretty navy and lime green knit patterned fabric on sale for $5.95 a yard. Now we’re talking. I turned the original blouse inside out, folded it in half, and then rough-traced around the top making sure to add notes of where extra fabric allowance would be needed for a hem. The paper is a roll of special velum I got from Sure Fit Designs but any old paper will do. I’ve been known to raid the printer now and again armed with a roll of scotch tape. Then I cleaned up the rough sketch using a French curve ruler for the curvy parts and labeled the pieces so I can use them again. The top went together in an afternoon. I did an overlock stitch on the shoulders and sides. I unnecessarily did the neck and sleeves too on this piece. What was I thinking? And then my darling Janome Coverstitch Pro did her thing on the neckline, sleeves and lower hems. That machine does the nice double row of stitching on the top and covers the raw edge on the back all at the same time just like ready-to-wear. The success here is pressing up the hems first and using Steam-a-Seam to glue them in place. That trick prevents ripples and stretches where they are not wanted and encourages the hem to lay perfectly flat as it goes through the machine. I got lazy and just coverstitched over my label as I added it in. Bad girl. In all, I love this top! It fits just like the other one and was so simple to make. You should give a try to a pattern hack sometime. If you’re new to it, I do not advise anything with set in sleeves, woven fabric, darts, or heaven forbid Princess seams. Keep it simple.